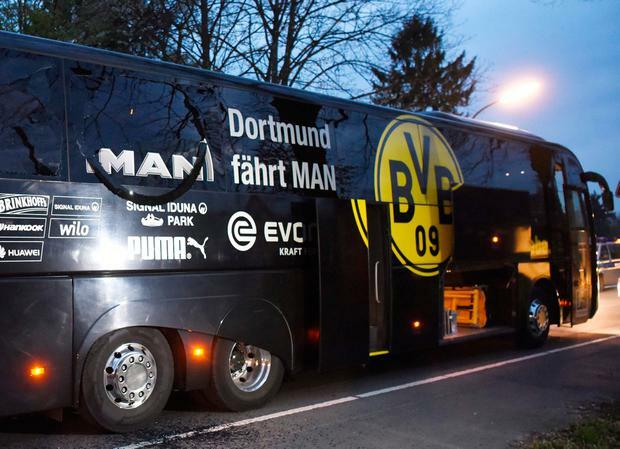 Police in Germany have detained a man they have described as an Islamist over the bombing of a Borussia Dortmund team coach yesterday. Three copies of the same letter have been found claiming responsibility for the attack and linking it to ISIS. What's interesting is that the police have identified the suspect as an Islamist and the apparent link to ISIS. It may be that they're going to conclude that it was nothing to do with Islamic extremism and let that be a salutary lesson to us all on the dangers of making such assumptions. The BBC is briefing against any links to Islamic extremism, suggesting that because this is unlike any previous attack it is unlikely to be related to ISIS. There has to be a first time for every type of attack and targeting multi-millionaire footballers amidst tight security sends a pretty strong message that nobody is safe - exactly the message ISIS want to put out.